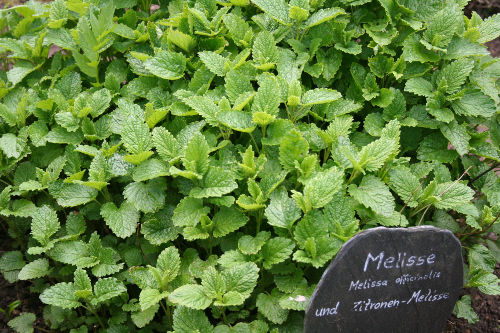 Melissa essential oil is widely known as lemon balm. It is also called sweet balm and common balm because it is largely used in various balms due to its sweet and pleasant aroma. The name Melissa comes from its sweet, fresh, and citrus-like fragrance known to attract bees. Melissa actually comes from Greek word “melittena,” which translates as “honeybee.” In traditional medicine, the potential health benefits of Melissa essential oil have been known for centuries. For instance, Melissa essential oil may benefit people with cold sores, or the herpes simplex virus 1 and 2. This is important because it prevents the need for antibiotics that may lead to antibiotic resistance in the body. Studies have shown that Melissa essential oil may also help treat health conditions like dementia, diabetes, hypertension, migraines, anxiety, and insomnia. What is Melissa Essential Oil? Melissa oil is made by the extraction of steam distillation of fresh leaves, buds, and twigs of the plant Melissa officinalis. It is a member of the mint (Lamicaceae) family. The lemon balm plant is native to South Central Europe, the East Mediterranean, and West Asia. Research published in the journal Planta Medica in the 1980s identified 70 active compounds in melissa essential oil, and 96% of the oil is compromised of citronellal, neral, geranial, 6-methyl-5-hepten-2-one, geranyl-acetate, beta-caryophyllene-oxidae, and beta-caryophyllene. Needless to say, Melissa essential oil has quite the reputation. Many of the health benefits of Melissa essential oil are due to its reported nervine, cordial, antidepressant, sedative, emmenagogue, antispasmodic, antibacterial, stomachic, diaphoretic, carminative, febrifuge, sudorific, hypotensive, and tonic properties. As a result, Melissa essential oil may boost the immune system, calm the nerves and tension, and soothe the stomach. Research indicates that Melissa oil may treat various diseases linked with pain and inflammation. A study published in the journal Advances in Pharmacological Sciences found that Melissa oil significantly reduced edema, which is known as swelling due to excess fluid trapped in the body’s tissues. The following are 7 additional touted health benefits of Melissa essential oil. Melissa essential oil is often the first choice in the treatment of cold sores. It may also fight other viruses in the herpes family, and it could stop the spread of viral infections. A study published in the journal Phytomedicine in 2008 found that high Melissa oil concentrations abolished herpes simplex virus type 1 and 2 completely in vitro. Researchers tested the oil on monkey kidney cells using a plaque reduction assay. The researchers concluded that Melissa essential oil could treat herpes due to its antiviral effects and its ability to penetrate the skin with its lipophilic effects. Melissa oil may also possess anti-diabetic and hypoglycemic properties. This is likely due to its ability to enhance blood sugar uptake and metabolism in the liver and adipose tissue, while also inhibiting gluconeogenesis in the liver. In a six-week study published in the British Journal of Nutrition in 2010, Melissa oil reduced diabetes symptoms by significantly decreasing blood sugar levels, significantly increasing serum insulin levels, and improving glucose tolerance, when compared to the control group. Scientific evidence suggests that Melissa essential oil may be the most effective essential oil for treating Alzheimer’s disease. A study published in the Journal of Clinical Psychiatry in 2002 suggested that quality of life is improved greatly when Melissa oil is used as a treatment for agitation in people with severe dementia. For the study, 60% of the Melissa oil group and 14% of the placebo-treated group experienced 30% reduction of agitation scores. Overall, Melissa oil improved agitation in 35% of patients and 11% in those treated with the placebo. The widespread use of antibiotics can compromise effectiveness of treatment and lead to antibiotic resistance. Research has found that Melissa essential oil contains antimicrobial compounds that can help treat bacterial infections. The most important compounds in Melissa oil for these effects include trans-caryophyllene, citronellal, and citral. A 2008 study found that Melissa oil exhibited higher antibacterial activity than lavender oil against Gram-positive bacterial strains, such as candida. Evidence also suggests that melissa oil has potential as an anti-tumor agent, and can reduce human cancer cell lines in in vitro studies. Also, a study published in the journal Cancer Investigation in 2014 indicated the oil may treat the supportive brain tissue tumor called glioblastoma multiforme. The study found that the antioxidant effects of Melissa oil and its major component citral reduced the viability and induced cell death of the glioblastoma multiforme cells. A double-blind, randomized, placebo-controlled study published in the journal Nursing and Midwifery Studies in 2015 found that Melissa essential oil significantly reduced PMS symptoms. For the study, 100 high school girls received a placebo or a capsule with 1,200mg of Melissa oil from the first to last day of their menstrual cycles for three consecutive cycles. The hypnotic, sedative, and antidepressant properties of Melissa oil may help create feelings of warmth and peace to provide emotional balance. Studies show that Melissa oil can modulate mood and cognitive performance without any toxicity or side effects. A study published in the journal CNS Drugs in 2013 found that Melissa essential oil may improve anxiety, cognition, neuroprotectivity, and depression. Melissa essential oil can be found in some health stores or online. Melissa essential oil is one of more expensive oils on the market; however, it is worth it, and a little bit will go a long way. The highest quality, 100% pure grade, Melissa oil (5 mL) will range from $75 to $150. It is best to purchase Melissa oil, or any essential oil, from a reputable and trustworthy company. This fact is particularly helpful if you use essential oils internally. Melissa essential oil blends well with lavender, geranium, chamomile, rose, ylang-ylang, basil, frankincense, and citrus oils. There are many ways to use Melissa essential oil, including diffusing at home or in the office, taken internally, or applied topically. People with sensitive skin must use carrier oil before using it on the skin. For internal use, start with one to two drops. Immunity: place one to two drops under the tongue. Anxiety or depression: diffuse or apply Melissa on the back of the neck, ears, and wrists. Dementia symptoms: diffuse daily or inhale directly from the bottle. Skin conditions: use five drops per ounce of carrier oil, or you can add five drops to a spray bottle with water or moisturizer, and put a little on your face. Nervousness and vertigo: apply two to three drops to the ears of back of the neck. This helps alleviate vomiting, nausea, nervousness, and dizziness. You can also take Melissa internally, and add a drop to tea or water. Herpes and cold sores: apply two to three drops topically to concerned area. Hypoglycemia: take a few drops internally to regulate blood sugar levels. Hypertension: take one to two drops internally, or apply to back of the neck or chest. Bug Spray: Fill a spray bottle with witch hazel and add five drops of basil oil and 10 drops of Melissa oil. Shake well, and spray for full bug protection. Restorative Skin Cream: Combine a half-cup of shea butter and coconut oil with a teaspoon of pure honey, and heat until it is well combined. Once cool, stir in 20 drops of Melissa oil and 40 drops of peppermint oil. Repairing Lip Balm: Combine two tablespoons of carrier oil with a tablespoon of beeswax, eight drops of Melissa oil, and eight drops of peppermint oil. Heat the mixture until combined, and use when it is cooled. The many health benefits of Melissa essential oil cannot go unnoticed, but are there Melissa essential oil side effects? There are a few words of caution with the oil. It is non-toxic oil, but it may cause irritation in some sensitive people. As a result, pregnant women should avoid Melissa essential oil due to its emmenagogue properties. If Melissa is used on sensitive skin, you should dilute it with carrier oil before application, including jojoba oil, sweet almond oil, avocado oil, or coconut oil. “Lemon Balm uses of Melissa Essential Oil Cleansing and Balancing,” Experience-Essential-Oils website; http://www.experience-essential-oils.com/lemon-balm-uses.html, last accessed March 2, 2017. “Melissa Essential Oil: Uses, Benefits and Precautions,” Sustainable Baby Steps website; http://www.sustainablebabysteps.com/melissa-essential-oil.html, last accessed Feb. 2, 2017. “13 Amazing Benefits of Melissa Essential Oil,” Organic Facts website; https://www.organicfacts.net/health-benefits/essential-oils/health-benefits-of-melissa-essential-oil.html, last accessed March 2, 2017. Tittel, G., “[Chemical composition of the essential oil from Melissa],” Planta Medica, October 1982; 46(2): 91-98. https://www.ncbi.nlm.nih.gov/pubmed/17396950. Bounihi, A., et al., “In Vivo Potential Anti-Inflammatory Activity of Melissa officinalis L. Essential Oil,” Advances in Pharmacological Sciencs, 2013; 2013: 101759, doi: 10.1155/2013/101759. Jun, Hee-Jin, et al., “Melissa officinalis Essential Oil Reduces Plasma Triglycerides in Human Apoliprprotein E2 Transpenic Mice by Inhibiting Sterol Regulatory Element-Binding Protein-1c-Dependent Fatty Acid Synthesis,” The Journal of Nutrition, March 1, 2012, 142(3): 432-440, doi: 10.3945/jn.111.152538. Akbarzadeh, M., et al., “Effect of Melissa officinalis Capsule on the Intensity of Premenstrual Syndrome Symptoms in High School Girl Students,” Nursing and Midwifery Studies, June 2015; 4(2): e27001, doi: 10.17795/nmsjournal27001. Sarris, J., et al., “Plant-based medicines for anxiety disorders, part 2: a review of clinical studies with supporting preclinical evidence,” CNS Drugs, April 2013; 27(4): 301-319, doi: 10.1007/s40263-013-0059-9. De Queiroz, R., et al., “Apoptosis-Inducing Effects of Melissa officinalis L. Essential Oil in Glioblastoma Multiforme Cells,” Cancer Investigation; 32(6), April 2014, doi: 10.10.3109/07357907.2014.905587. “Melissa,” doTERRA website; https://doterra.com/US/en/p/melissa-oil, last accessed March 2, 2017. Hancianu, M., et al., “Chemical composition and in vitro antimicrobial activity of essential oil of Melissa officinalis L. from Romania,” Rev Med Chir Soc Med Nat Iasi, July to September 2008; 112(3): 843-847. https://www.ncbi.nlm.nih.gov/pubmed/20201279. Chung, M.J., et al., “Anti-diabetic effects of lemon balm (Melidda officinalis) essential oil on glucose- and lipid-regulating enzyme in type 2 diabetic mice,” British Journal of Nutrition, July 2010; 104(2): 180-188, doi: 10.1017/S000711450001765. Schnitzler, P., et al., “Melissa officinalis oil affects infectivity of enveloped herpesviruses,” Phytomedicine, September 2008; 15(9): 734-740, doi: 10.1016/j.phymed.2008.04.018. Ballard, C.G., et al., “Aromatherapy as a safe and effective treatment for the management of agitation in severe dementia: the results of a double-blind, placebo-controlled trial with Melissa,” Journal of Clinical Psychiatry, July 2002; 63(7): 553-558. https://www.ncbi.nlm.nih.gov/pubmed/12143909.